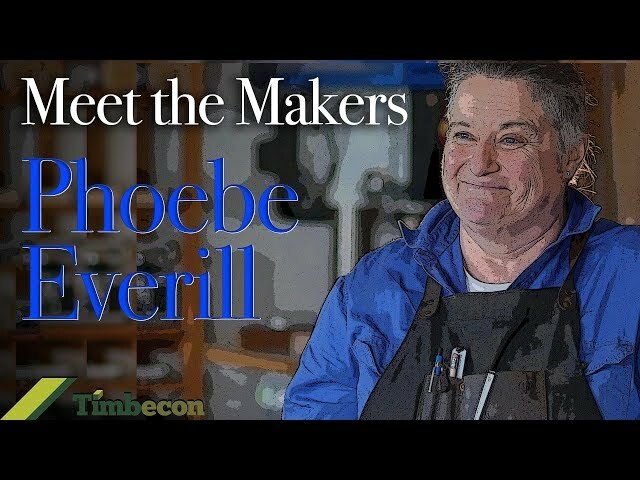 Instructional woodworking videos presented by Phoebe Everill in conjunction with Timbecon. 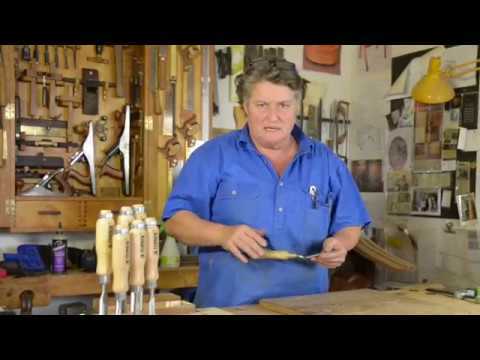 Learn how to use different tools and woodworking techniques. 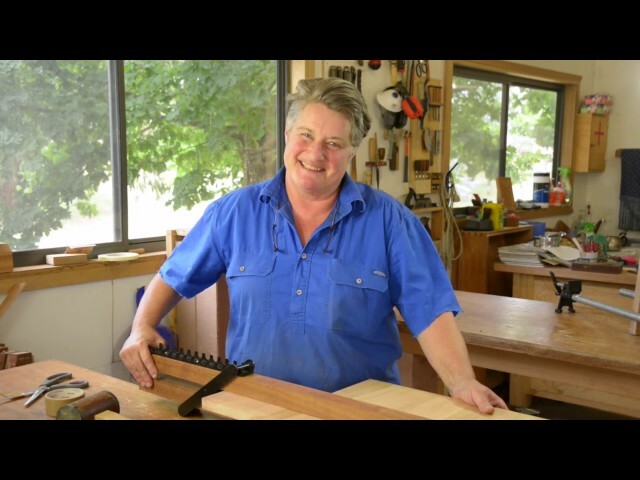 Apart from being one of Timbecon's expert presenters, Phoebe Everill is a renowned Australian woodworker and maker with a heart for the wood she uses to create her beautiful pieces. 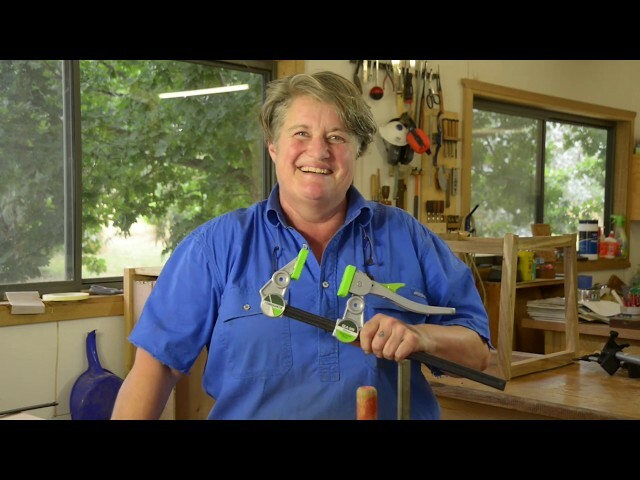 Her philosophies on the craft of woodworking and its impact upon the person are worthy of these few minutes..
Snappy plug cutters produce a tapered plug, so you get a tight fit with no glue needed. The chamfered nose makes it easy to get the plug started into the bore. Four precision-milled angles on each of the four flutes ensure a smooth cut and a tight-fitting, consistent taper. Heat-treated to provide excellent wear resistance and long cutting life. 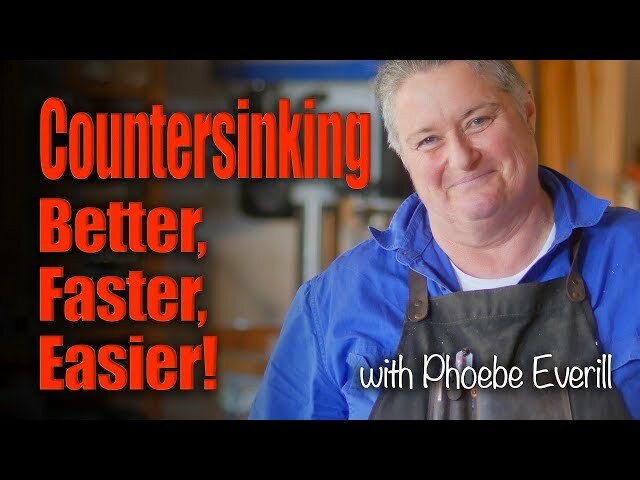 Countersinking - Better, Faster, Easier! The Happy Clamper is Back! 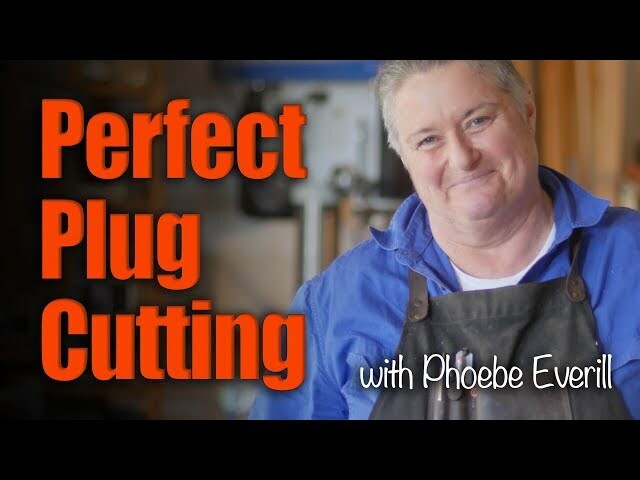 In this episode, Phoebe shows us why the Bessey Band Clamp is easier to use than most..
Clamping curves, polygonal connections and closed contours are traditionally some of the most difficult clamping jobs. 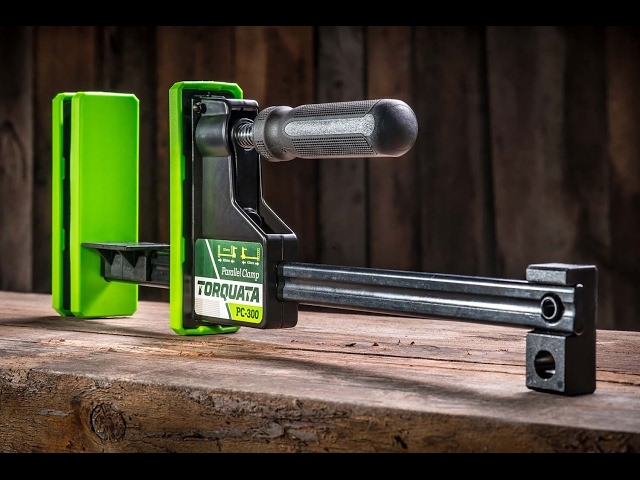 BESSEY has come up with a startling solution to this problem: in the form of the patented band clamp BAN 700, and the practical Vario corners. These two products are suitable for all those situations where gentle, non-warping, all-round clamping is needed. Universally applicable for wood and plastic as well as in metal construction. Secured by an automatic locking system that ensures even tractive forces on both sides, which do not slacken until the clamp is released. 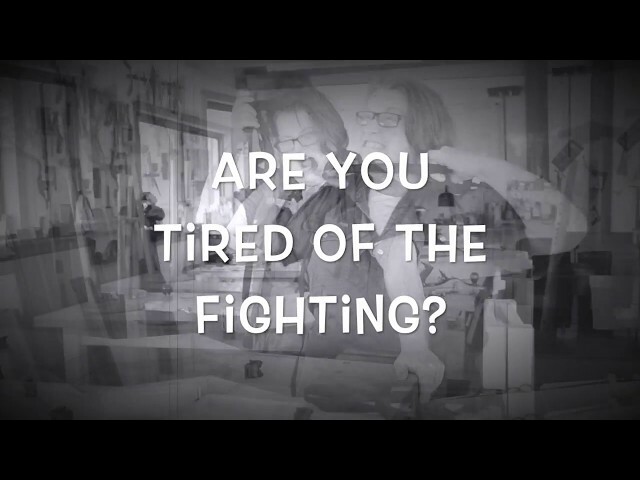 No warping – no stress! Even pressure on mitre joints. Crank handle can be relocated for right and left-handed users. The BAN-700 kit includes 1x band clamp & 4x Vario corners. Vario corners have infinite angle adjustment from 60-180° and sold as packs of six. This grinder is purpose-built to sharpen jointer and planer blades up to 24in long. 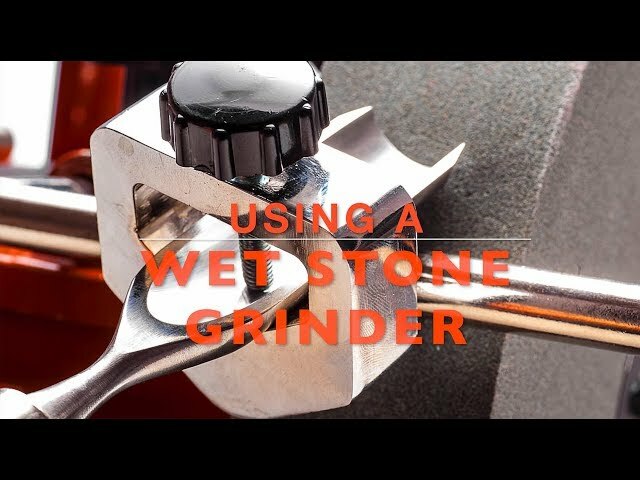 It works by running the 6in aluminium oxide wheel horizontally with a 375W (1/2HP) motor running at 2800RPM, and the blade carriage passing across the face of the stone. The carriage is adjustable to suit all bevel angles for machine blades. 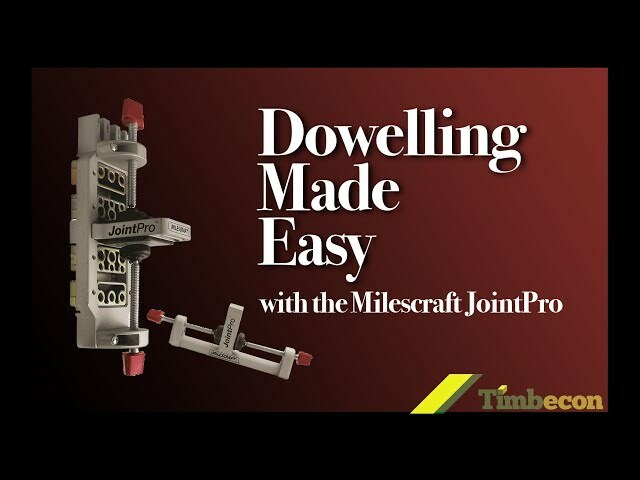 Remove the carriage and use the included small tool jig for grinding planer blade and cabinet chisels, or attach the drill bit sharpening attachments to touch up your twist drills. Solid cast-iron body construction with included cast-iron base for extra stability when in use. 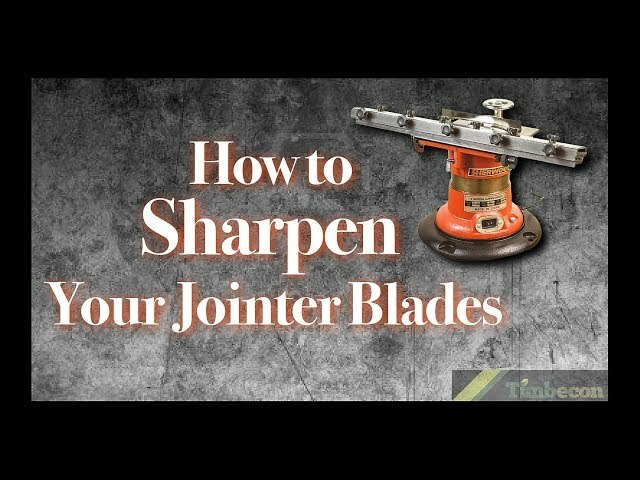 This unique machine will quickly save time and hassle by moving your sharpening service in-house. 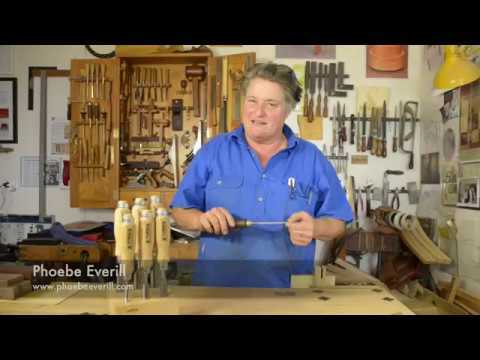 Phoebe Everill takes us through the finer details of cleaning mortice and tenon joints with Narex Chisels..
Phoebe Everill discusses the problems with removing glue from joins. 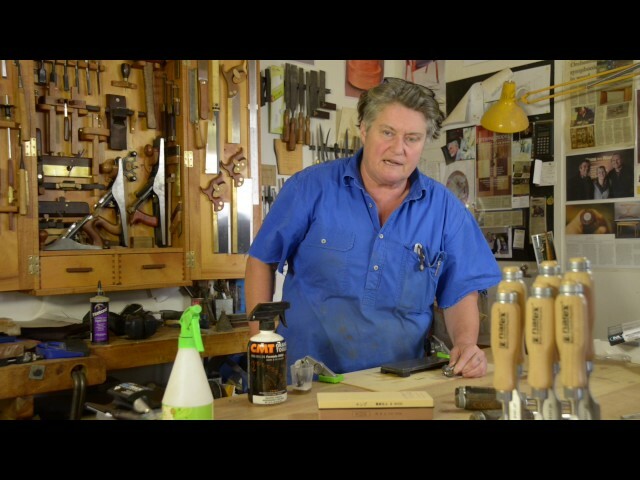 Using a Narex cranked neck chisel, she shows us how to clean them quickly, cleanly and effectively. 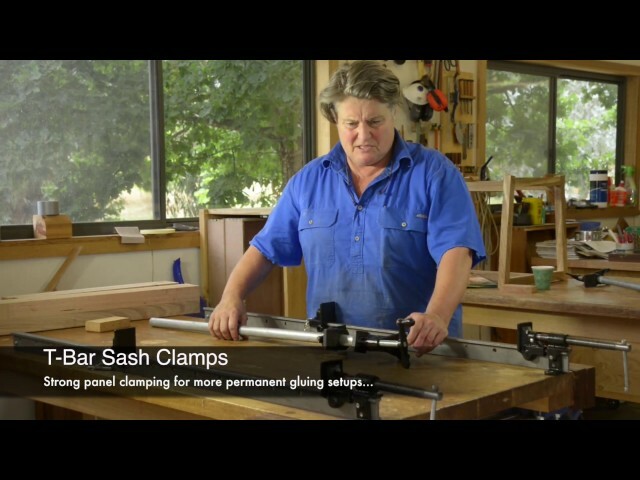 The Happy Clamper - How to Use Panel Clamps. It’s almost impossible to glue up any large panel like a table top without a clamping system of some sort. To get an even surface, your panels will require clamps and pressure on the sides to set the glue and additional pressure on the top and bottom to prevent joint buckling. 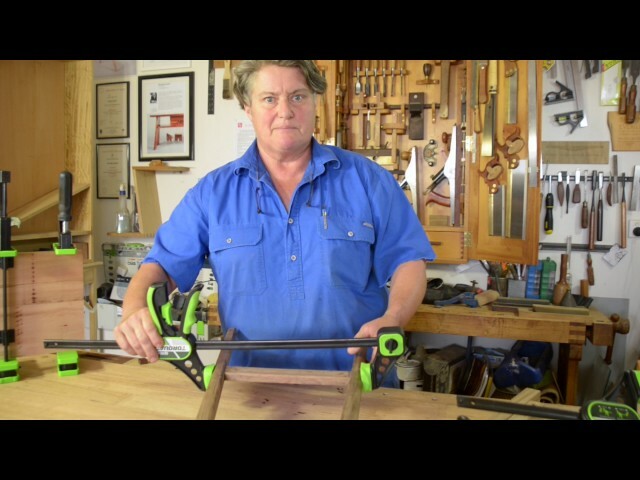 It can be a real trick to get it all right, and once everything is glued and clamped down properly there are so many clamps sticking out in every direction that it looks more like an alien mother ship than a woodworking project. Or, you can use these ingenious panel clamps. The system works by applying equal pressure from all four directions: top, bottom, and both sides all at the same time. Setup begins by attaching the mounting brackets to the 38 x 38mm timber bottom bar and attaching the clamp ends so that the heads applying lateral clamping pressure are in place. We recommend running masking tape along the wooden clamp bars before loading in the boards so that when the glue is squeezed out the boards, they don't bond to the clamping bars. Load all your boards into the clamp and then slide the top bar into place and wind up the clamp handle as per normal to exert clamping pressure. The rear strip is 310mm long with 12 notches in it so it is adjustable within a range to ensure that you can quickly and easily adjust the overall width of the clamping range to ensure it gets done before the glue dries. As you wind up the clamp handle, the bars are pulled down on to the work piece being clamped and prevent buckling. The more pressure you apply horizontally also directly increases the tension being brought down on the work piece being clamped. Since all four sides are covered by one clamp you’ll save time — by using far fewer clamps — and eliminate the dreaded “buckling effect” to get a straight panel. 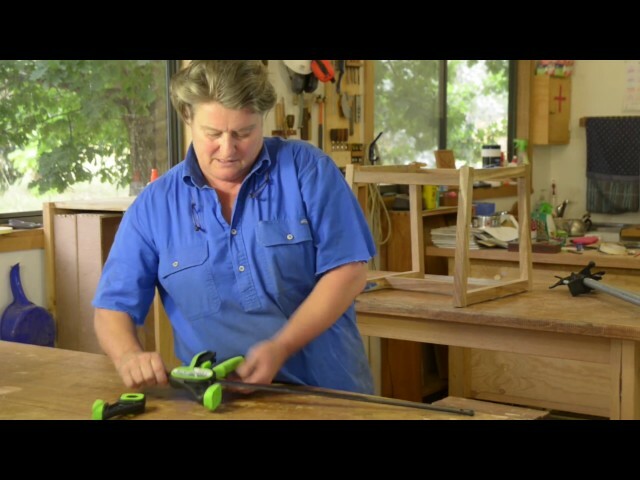 The Happy Clamper, Phoebe Everill, shows us how to use Parallel Clamps and avoid the more common mistakes often made with them. She also reveals some of the added benefits of the Torquata Parallel clamps, available exclusively from Timbecon. Forget those old F-Clamps! 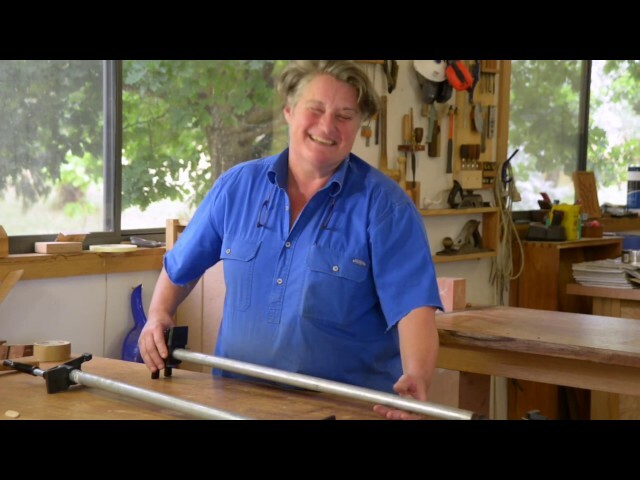 The Happy Clamper (aka Phoebe Everill from the Phoebe Everill School For Wood) reveals the wood worker's clamping Godsend - the Torquata Quick Lever Clamp. The Happy Clamper - Why a One Handed Clamp?